The zoom power of the COOLPIX P900 is nothing short of spectacular. This is 83x (2000mm equivalent) optical zoom. Advanced shooters will appreciate the outstanding image quality and DSLR styling—a sure grip, a swiveling Vari-angle display, a high-resolution Electronic Viewfinder that turns on automatically when lifted to your eye, even a PSAM mode control dial. Those who simply want great photos and Full HD videos without any fuss will appreciate the point-and-shoot ease and long battery life—up to 360 shots per charge! And everyone will appreciate the built-in Wi-Fi® and Near Field Communication technology (NFC)** connectivity which wirelessly connects the COOLPIX P900 to a compatible smartphone or tablet for instant photo sharing and remote camera control. Change the way you see, capture and share the world. With 2,000mm equivalent focal length, subjects barely visible with the naked eye can fill your frame. And if they don't, Dynamic Fine Zoom, an enhanced digital zoom effectively doubles that reach—to a 4,000mm equivalent! If you lose sight of your subject while zoomed in, press the Snap-Back Zoom button for a quick zoomed-out view. 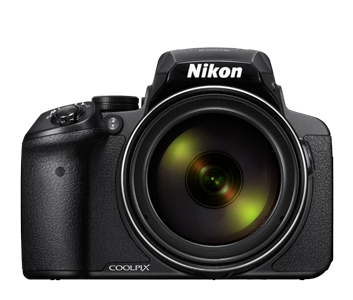 Find your subject again and then release the button—the COOLPIX P900 will zoom right back in. The whole time, 5.0 stops* Dual Detect Optical VR improves VR performance using enhanced detection accuracy to help keep your photos sharp and your videos steady. Quickly and easily send photos wirelessly from your Wi-Fi & NFC enabled COOLPIX P900 to a compatible smartphone or tablet±. Share your great photos on the go, even in remote locations, or use a smartphone or tablet to control your camera. The COOLPIX P900 can go as far as you want to go. For advanced shooters, a PSAM mode dial is available right on top of the camera, much like a DSLR. Control the COOLPIX P900's aperture and shutter speed to control your shots exactly as you want them or overcome difficult shooting situations. But you don't have to understand exposure controls to get great results—the COOLPIX P900 can do all that work for you. 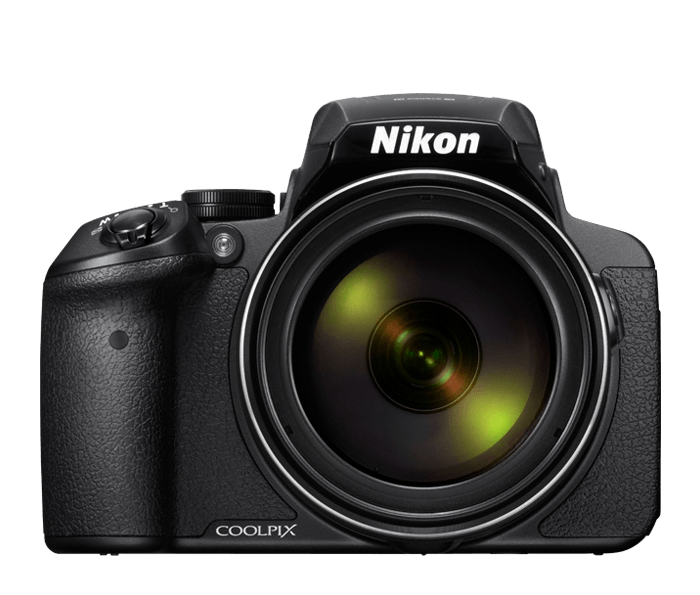 The COOLPIX P900 is powered by an included EN-EL23 battery that charges quickly and delivers up to 360 shots per charge. Buy a second battery, and you can always have a fully charged back-up in your bag. Unleash your creativity with the COOLPIX P900. Turn on Moon Mode, zoom in with the power of 83x optical zoom and capture stunning detailed images of the moon. Highlight a single color in a black & white photo. Create portraits that look like paintings and illustrations. Combine multiple exposures into one high dynamic range image and so much more—all right in the camera.